Get ready to throw your best promotional curveball! 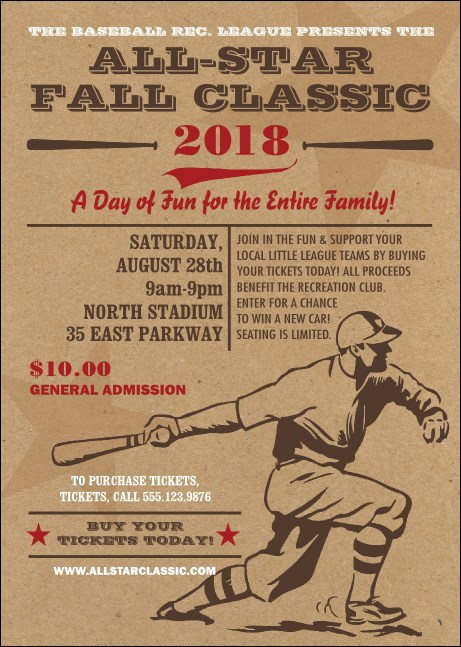 All Star Retro Baseball Club Flyers are just what you need to amp up your pre-event advertising. Send out these classic Club Flyers with twenty four lines of colorful text and a ball player in a vintage uniform blasting the ball into the outfield.